After a very, very, VERY long winter in BC wine country, the Garagistes are happy to see the snow almost completely melted on the vineyards and signs of spring popping up. Though there is little time to rest for those of us in the wine industry, winter does provide a bit of a respite and a chance to plan for the year ahead. So we are now recharged and ready to rock and roll! 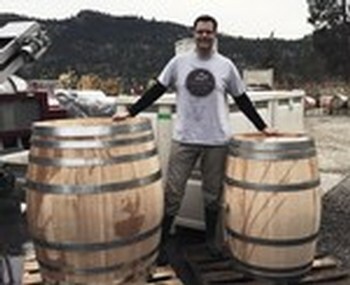 The Garagiste North Wine Festivals has booked a three-city tour this year to appease our growing fan base and spread the good word about the high quality Garagiste wines being produced in BC. From Vancouver to Parksville to Penticton, each festival will offer a unique lineup of Garagiste wineries and an evolving repertoire of excellent wines to taste. The festivals are again taking place in Vancouver (new venue!) and in Penticton but this year we are jumping the pond to Parksville on Vancouver Island. The Garagiste Guild is super excited about this addition because we love the Island and the Islanders love small lot wines. This also allows easier access for the Island Garagistes to come and pour at the festival allowing our tasting crowd the opportunity to taste a wide range of terroir through the vast collection of wines being offered. Spring releases include a variety of beautiful Rosés this year – and we love a great pink. This year, we are thrilled to again offer an on-site wine store. This amazing amendment to the BC wine laws last year really enhanced our festival experience. We launched the concept last fall at our Penticton festival and it was a huge hit. Festival goers are able to taste the wines and then purchase their favorites before leaving the event. We have had the opportunity to taste some of the early bottlings and the consensus is spectacular. The 2017 vintage is going to be amazing. We are also launching our Garagiste North Wine Club so do sign up and take advantage of great deals and special offerings to be shipped to your door. See you soon at the coolest wine festival ever! So after pruning the vines, the Garagistes will be getting ready to bottle the juice that has been happily waiting in tank or barrel in the cellar, growing more delicious by the day. Those spring releases will be ready to take to Vancouver for the April 17th event and winemakers are super excited about the 2015 vintage! Some Garagistes will be bringing their wine in tank or pouring from a keg because they haven’t bottled yet – such a super cool tasting experience for wine lovers. You are in for a TREAT! All of that crazy weather last year has resulted in amazing wines – thanks Mother Nature. The Garagiste Vancouver Wine Festival tickets are selling well and the media are excited to have these talented winemakers back in town to taste their wares. 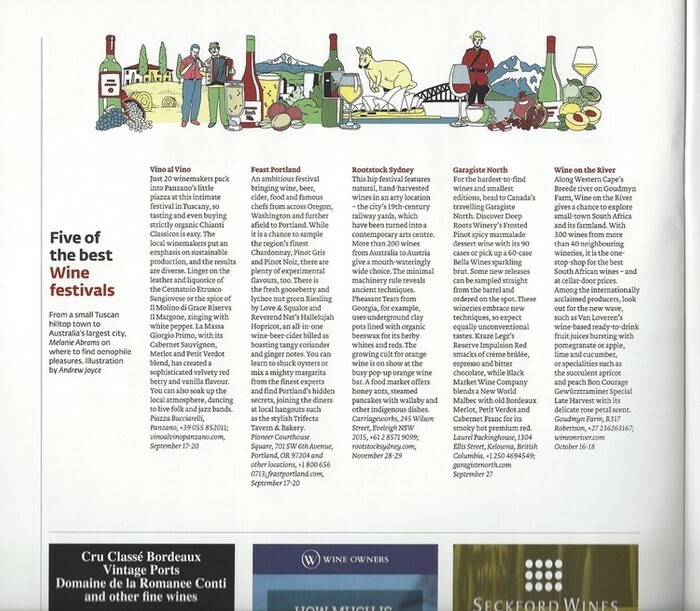 Tim Pawsey, celebrated journalist on the west coast, recently wrote about the festival saying “Garagiste North has to be one of the more intriguing wine festivals on the calendar”! We love to be intriguing and remember that the London Financial Times voted Garagiste North Wine Festival as one of the Top 5 Wine Festivals in the World in 2015. Click HERE to read Tim Pawsey’s entire article. Here is a list of a few of the recent Garagiste wine award wins! High Fives! Remember to follow us on Facebook, Twitter and Instagram. We will keep you posted as to the exciting adventures of the Garagistes and news on upcoming events! Mark your calendar for September 18th. 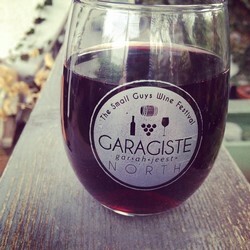 The Garagistes will be back on Okanagan soil pouring at the Okanagan Garagiste Festival! Tickets are on sale now and we encourage you to buy early. Chicken-Like Birds has agreed to join us for the afternoon in Vancouver and share a little of their Ragtime Country Blues sound.. Sip, swirl, visit and listen. It's going to be fun at the Wise Hall just off Commercial. Tickets are limited, so get yours before you think you need to get yours. If you know what we mean.